Ever try using an American Express card to purchase goods outside a major metropolitan area? If so, then you know an AmEx card is about as welcomed at retail as an Israeli soldier is in Gaza City. Powers went on to say that, while Amex will reward the uber prestigious Four Seasons Restaurant in New York by only hitting them with a three percent surcharge on payments, they’ll absolutely decimate the ‘Walk This Way’ in Bar Harbor, Maine, slapping that eatery with a whopping seven percent surcharge on meals (prompting Walk This Way’s Tony to laugh out loud when I asked if he’d accept my AmEx). Now, though, American Express is the kiss of death for most fly-over, middle-of-the-road retailers (who avoid it like the plague). 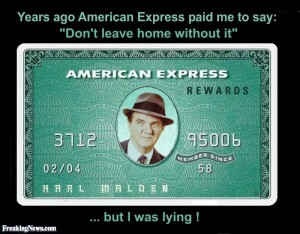 In fact, one might say the X in American Express stands for AmeXecutioner of any restaurant’s profits. Special tip of the hat to credit guru and uber journeyman, Thomas J. Powers, Jr., for providing insight. Thanks for the insight, Sienna. I’m sure Amex either doesn’t know or, as is more likely the case, doesn’t care about the impact of their excessive surcharge on the lives of waiters and waitresses. After I gently lay a check presenter on a table and say, “This is for whenever you’re ready. I’m not trying to rush ya’ll, I just don’t want you waiting on me.” I cringe a little when I see them slide in an American Express card. The restaurant I work for tracks the credit card fees of the guests I have served every shift, and then deduct that amount from my tips. The company doesn’t absorb those exorbitant fees: I do, a 22 year-old kid trying to pay for college. Those fee’s really add up, a couple hundred a month sometimes. As servers, we have argued that if we are responsible for paying the fees, then we should have a right to choose whether we accept a certain card or not; but, we know we would only be hurting ourselves. I like the way you think, Joe. You’d make one helluva fine procurement manager for some corporation. And, Julie, I agree Amex is much more card member friendly. What’s also ironic is that from an individual client (card user) point of view AmEx has simply the best customer service. Why? Because the client representatives are empowered to make decisions (within a certain financial denominator) to reverse charges, etc. (after reviewing your past client history). 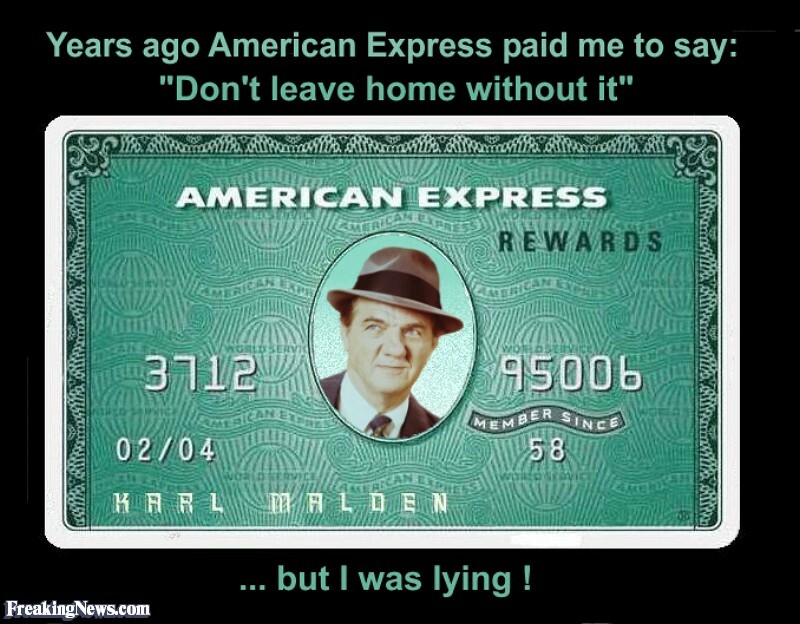 When my wallet was stolen I also had a much easier time with AmEx than I did with MasterCard, who seemed to think I was the criminal not the victim…. Maybe Peppercom should start accepting AMEX. It might incentivize your uber profile clients to pay their invoices earlier – just for the prestige of using their Platinum Cards, or, for the Reward Points. Your margins would dip 7% but your free cash flow would be enhanced.